Crying babies… all parents have been there and all parents have their own ways of dealing with the sometimes seemingly ongoing onslaught of tears and wailing. 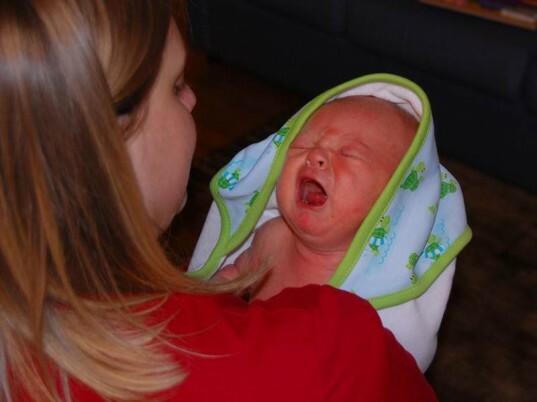 Still, as a parent, you may be wondering if there is one right way to deal with baby crying. What do the experts say about baby tears and is ‘crying it out‘ really a useful method, especially if you’ve tried everything else? This was a recent topic of discussion posted on Shine, and if the 3,000+ comments are any indication, this is a topic near and dear to most parents. Image by Shune via sxc. Babies who are less independent. Children who are more detached from their parents and others. Neuron destruction due to unmet needs and thus, a super-stressed baby. Children with higher incidence of ADHD, poor academic performance and anti-social tendencies. All-in-all what the Strathearn study, among other studies, shows us is that it’s healthy and normal for parents to be okay with a baby crying and to deal with it. To turn that around, there’s likely an actual bonding problem going on if you can’t deal with your baby’s crying most of the time and it may be time to speak with your doctor. As a parent, I can only speak for myself, but ignoring a child’s crying, is to me, akin to total disrespect in almost all cases. Consider if your husband or partner came home upset from work, not crying but pretty upset and needing to talk. Would you tell him to buck up and deal with it on his own? What if your sister or best friend called, upset about her day? Would you ignore her until her complaining stopped? If yes, you’d ignore these adults in your life, I guarantee you’d be partner-free and friendless fairly quickly. It’s a matter of respect. Babies can’t communicate via verbal complaints. Babies can’t tell you what’s wrong in tiny details. Babies cry. Period. That’s their way of telling you that something is amiss in their world. Babies cannot attend to their own needs – that’s what parents are for. Attending to others’ needs isn’t the same as spoiling. It’s not giving in to every whim or letting someone have their own way unconditionally. Being there for others, whether adult, child or baby is the decent, human, respectful thing to do. Also, as a parent who has been around other parents, I can honestly say that letting babies cry it out, seems to help no one. Not the baby, and certainly not the parents. Most of the time, I’ve observed that babies who are held more often, cry less and are calmer in general, than babies who are often left to cry it out. Going to your baby when he cries, helps you out, because it results in fewer tears and screams. Research backs my theory up as well, with many studies showing that American babies cry more than babies in other parts of the world, simply because many Western society parents believe that crying it out is a sound method. Image by abauer via sxc. Is it EVER Okay to Let a Baby Cry it Out? I don’t believe in crying it out as a rule. Still, I clearly remember two separate occasions, both when my son Cedar was under five months of age, when I left him all alone, wailing like a banshee for an hour. Why? I was a young mama (none of my friends had kids), we didn’t live near family and my son’s dad worked long hours. I was alone with my son quite often. Normally it wasn’t an issue. I was prepared for baby tears and considered my son awesome most of the time, not to mention my responsibility. However, take one mama (me) with few supports, mix in a dirty house, no sleep due to breastfeeding half the night away and a case of the flu and watch that mama crumble. Both times I let my son cry it out, I felt stressed to the extreme and nothing I did seemed to calm my child, so I walked away, rather then get angry. It’s not like I thought, “Man, I will pummel this child soon” but I did feel stressed enough to raise my voice and feel the frustration take over, which to me meant, walk away and chill out before you deal with the baby. You may think, “I’d never harm my baby,” yet according to research, approximately 20 per 100,000 infants per year experience abusive head injuries resulting from shaking or hitting. Research also shows that hitting or shaking is almost always triggered by a parent’s inability to stop their baby from crying. We’re not talking about overtly evil parents either. Shaken baby syndrome or abusive head trauma most often occurs when a caregiver severely shakes a baby, but because babies have very small, weak heads and neck, it actually takes very little shaking or just a single hit on the head to cause an injury. A totally normal, sane, nice parent could hurt their baby in a moment of major frustration. All told, 13% to 30% of shaken babies die from their injuries and 1/2 of all shaken babies who don’t die end up with serious brain impairments, blindness, eye injuries, damage to the spinal cord or delays in normal development. In most cases, try to treat your baby respectfully and go to him when he cries. However, it’s much better to take a parent time-out than to attend to your baby when you’re almost at the end of your rope. Don’t leave your baby crying in an unsafe place like the tub or on the floor. Pick him up and place him in a safe place, like his crib, playpen or car seat and walk away. Make a cup of tea, read a chapter in a book, gather your thoughts and get back in control, then attend to your child. If chilling out isn’t working, call a friend or family member to come over. If you feel frustrated with your baby daily then you should speak with your doctor. Post-pregnancy depression is common, but a doctor can help. Keep in mind that babies can be hard work – it’s 100% normal to be frustrated with your baby sometimes but it’s never normal to be frustrated or angry with your baby all the time. Tell us in the comments – do you ever let your baby cry it out? How come? 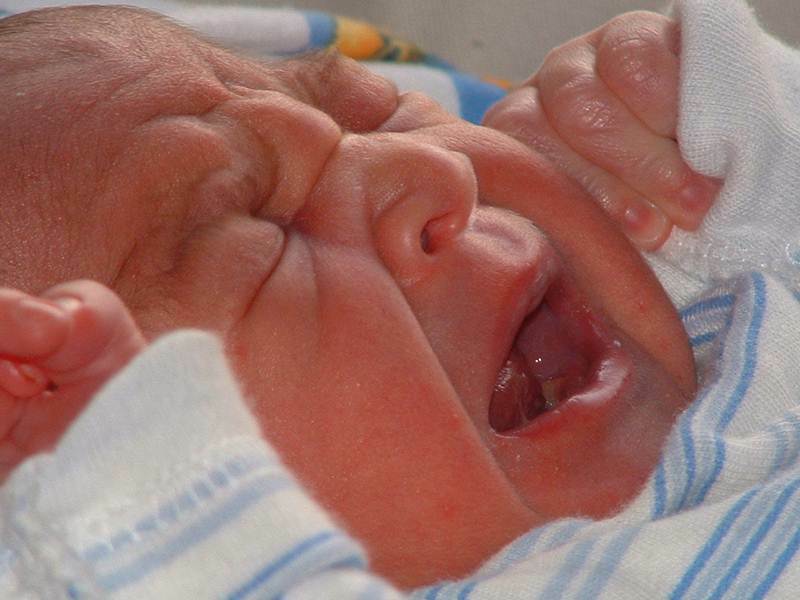 Is the "Cry it Out" Method Healthy or Unhealthy for Babies? Crying babies... all parents have been there and all parents have their own ways of dealing with the sometimes seemingly ongoing onslaught of tears and wailing. Still, as a parent, you may be wondering if there is one right way to deal with baby crying. What do the experts say about baby tears and is 'crying it out' really a useful method, especially if you've tried everything else? This was a recent topic of discussion posted on Shine, and if the 3,000+ comments are any indication, this is a topic near and dear to most parents.